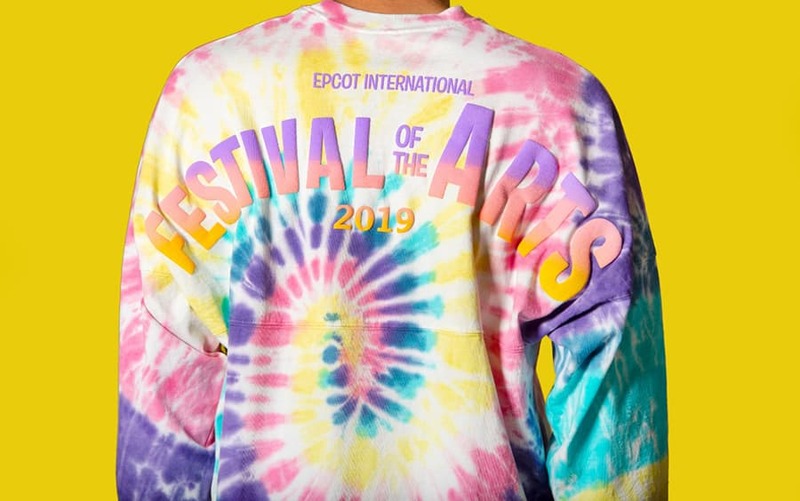 The Epcot International Festival of the Arts debuted in 2017 and is a collaboration with Disney Theatrical Productions. This year’s festival begins in January and brings an exciting showcase of music and Broadway talent to the America Gardens Theatre stage. The festival includes a Disney on Broadway Concert Series, live performance art which includes international musical and variety acts, acrobatics, amazing living statues, marching bands and more. The festival also features workshops, seminars, food studios, and art galleries. New art is revealed throughout the Festival so guests can look forward to a new experience every time they visit. The festival takes place at various locations and stages across Epcot and runs from January 18 to February 25, 2019. Epcot admission is required for the festival which runs for 39 days. Here is everything you need to know about the Epcot International Festival of the Arts. Plan Your Walt Disney World Vacation Now! Guests can enjoy Broadway-inspired performances of popular Disney classics. The Disney on Broadway Concert Series now with performances 7 days a week! New for 2019, this series will be presented daily at the America Gardens Theatre. Every two weeks a new pair of Disney on Broadway stars will perform beloved songs. Performers include Arielle Jacobs who performed as Princess Jasmine in Disney’s Aladdin on Broadway, Kerry Butler who starred as Belle in Beauty & the Beast on Broadway, Kevin Massey who starred in the title role of Disney’s Tarzan on Broadway, Ashley Brown who originated the title role in Disney’s Mary Poppins on Broadway, and others. A complete list of performers and dates can be found here. The shows start at 5:30 PM, 6:45 PM and 8:00 PM at the America Gardens Theatre at Epcot World Showcase. Disney World offers dining packages to select Epcot restaurants that guarantee seating at the Disney on Broadway Concert Series. Guests can enjoy breakfast, lunch or dinner options before attending a showcase of Disney on Broadway songs later that evening. Participating restaurants include Akershus Royal Banquet Hall in Norway Pavilion, Biergarten Restaurant in Germany Pavilion, Coral Reef Restaurant in the Living Seas Pavilion, the Garden Grill Restaurant in the Land Pavilion, and the Rose & Crown Pub & Dining Room in the United Kingdom Pavilion. Prices range from $49 to $73 for adults, and $21 to $44 for kids. The dining package includes a 3-course meal experience that includes an appetizer, entrée, dessert and non-alcoholic beverage or one full buffet, where applicable as well as guaranteed seating at one of 3 concerts held the same day. Guaranteed concert seating badges for the America Gardens Theatre will be provided at the restaurant. Guests can reserve their spot online here. They can also call (407) WDW-DINE or (407) 939-7463. Advanced reservations are highly recommended as this event fills up quickly. The festival features a variety of live performance art, including living statues inspired by Epcot that whimsically come to life. Guests can discover art on sidewalks, common spaces and even places they wouldn’t expect! The Epcot International Festival of the Arts welcomes the return of Bodh’aktan to the Canada stage and is excited to introduce Delta Q on the Germany stage. Be sure to check out the acrobatics and gravity-defying feats of strength! The Epcot International Festival of the Arts hosts top high school marching bands that will perform jazz and pop music. Festival guests can also attend professional workshops and seminars to enhance their creative and culinary skills. There is a week-by-week calendar of events listing the various workshops. Complimentary seminars will be held daily from 11:30 a.m. to 12:00 p.m. (unless otherwise noted) and are included with park admission. Guests can make reservations the day-of at the Odyssey Festival Showplace. Some of the 2019 workshops and seminars include “One Little Spark: Finding the Figment Inside of YOU!”, “Practically Poppins in Every Way”, “The Art of Disney Fonts, Lettering & Signage”, “Photography 101 – Shooting Spectacular Fireworks”, “3D Storytelling at Walt Disney World” and many others. Guests can also participate in Animation Academy, which is a drawing class taught by actual Disney artists. Kids of all ages will enjoy Figment’s Brush with the Master’s Scavenger Hunt where they search for clues that lead to the elusive little dragon. The Epcot International Festival of the Arts will feature 13 Food Studios in 2019. Guests can enjoy an expanded selection of creative food and beverages around Epcot. Some wonderful places to check out include The Artist’s Table, The Painter’s Palate, Pop Eats!, and Cuisine Classique. Be sure to visit The Deconstructed Food Studio in Showcase Plaza where guests can try deconstructed versions of a BLT, Rueben, and strawberry cheesecake. Guests can also view beautiful Disney art at various galleries during the festival. Some notable galleries to visit include American Heritage Gallery – American Adventure, Bijutsu-kan Gallery – Japan, House of the Whispering Willows – China, Stave Church Gallery – Norway, and Future World West. On the first visit you will receive a complimentary Passholder magnet that will feature Figment. Just stop into Mouse Gear or Port of Entry and show your valid annual pass card and photo ID. Passholders also receive a 20% Passholder discount on a Festival of the Arts MagicBand, which will feature the playful, purple dragon, plus a Figment spirit jersey, T-shirt, ornament and more. There will also be Passholder-exclusive festival merchandise that will include a t-shirt and coaster set featuring Mickey Mouse, a pin featuring Pluto – and an exclusive Figment cookie available for purchase at Taste Track from Jan. 18 through Jan. 26. Passholders also receive a 10% discount for dining packages for the Disney on Broadway Concert Series and a special 20% discount on dining packages at Biergarten Restaurant and Coral Reef Restaurant for lunch and dinner through Jan. 31.